Having received rave support from Radio 1, ‘Beware The Beast’ is a huge synthrock anthem featuring Mat McNerney (Vomitorium, Code, Grave Pleasures) on vocals. 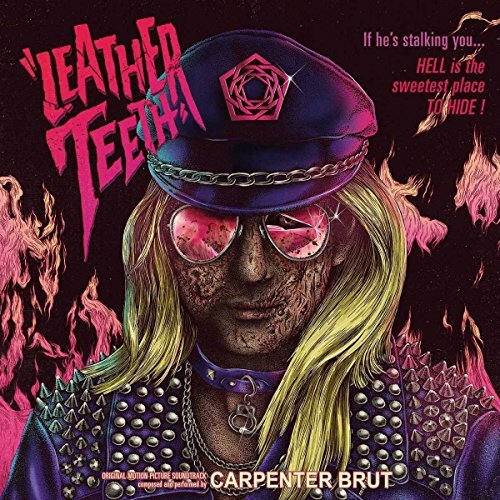 The video features 80s horror film style visuals created by Carpenter Brut detailing the unstoppable monstrous rise of the fictional band Leather Patrol. ‘Beware The Beast’ is taken from the critically acclaimed new album Leather Teeth released earlier this year. Leather Teeth is the soundtrack of a dark coming-of-age film, pulling together dirty synthesizers, stomping rave beats and big rock riffs. The album follows the story of Bret Halford, an introverted science student. He likes a girl who doesn’t like him and much prefers the team’s star quarterback. Bret gets mad. He tries to create a concoction that will allow him to control them all, but ends up disfigured and decides instead to become a rock star. This is how he will seduce the girl, and all other girls: by becoming Leather Teeth, singer of Leather Patrol. Carpenter Brut is telling the story of Leather Teeth through extensive touring this year. Following his sold out headline show at London’s KOKO in March, he has played shows throughout Europe and America, including appearances at festivals including Coachella. He will be performing at further festivals this summer including Primavera, Hellfest and many more. Full October UK headline tour dates can be found below.